Iraq and Afghanistan aren’t in the news as much as they once were, but it’s important to remember that our troops are still there. Spc. 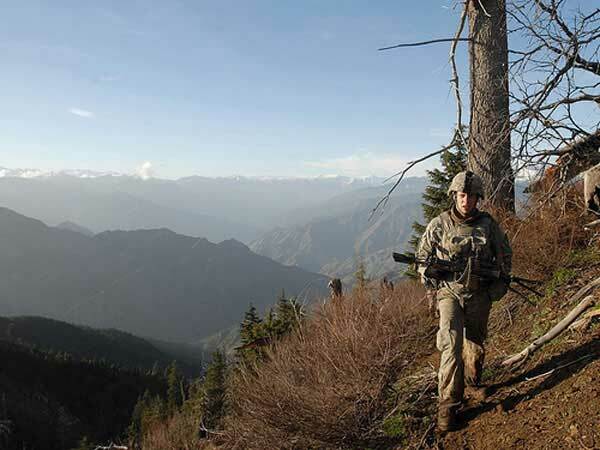 Andrew Harvey, a 1st Infantry Soldier, patrols along steep cliffs of the Korengal Valley’s surrounding mountains during Operation Viper Shake, Afghanistan, April 21, 2009. Photo courtesy army.mil.